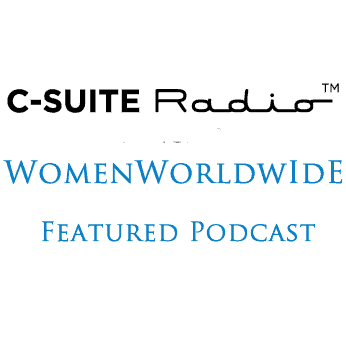 Lauren Leader-Chivee, co-founder, and CEO of All In Together (AIT) and the author of Crossing the Thinnest Line: How Embracing Diversity-from the Office to the Oscars-Make America Stronger joins Host Deirdre Breakenridge on Women Worldwide. Lauren has dedicated her career to closing the most critical personal, professional and political gender gaps for women. In addition to her role at AIT, Lauren is an Executive Advisor to Deloitte working with a range of global companies on their most pressing diversity issues. On the show, Lauren discussed how the thinnest of lines separate groups. Establishing an emotional connection, through a shared experience, makes you less of an outsider and helps you to understand different cultures. The shared experience also leads to relationships and trust. She gave examples of soldiers in the military and prison populations. Lauren offered insights on Millennials as a generation, who are much more accepting and inclusive. You can see the trend of Millennials moving to urban areas. However, Lauren stressed that these attitudes and gains are not guaranteed moving forward. Although Gen Y has benefited from the opening of the world through the Internet, if schools become more segregated and the Internet is more of an echo chamber with siloed and like-minded thinking, then the next generation will be less inclusive. Laura also shared how she was able to constantly move out of her comfort zone. She has used her network and different relationships, knowing when to ask for help. She is committed to moving forward and knows that there will be ambiguity. Lauren also stated that you have to think beyond networking and really share more of yourself to build a relationship. Lauren was recently named by Fortune as one of the 50 Most Influential Women on Twitter. She writes extensively for the Huffington Post, Harvard Business Review, and Inc magazine. Formerly the President of the global think tank Center for Talent Innovation and Founding Partner at Hewlett Chivée Partners LLC, she has tirelessly advocated for women’s leadership as a driver of economic growth and opportunity.